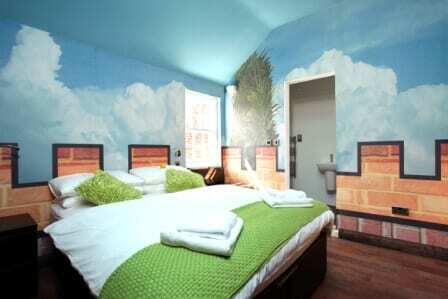 The Fort Boutique Hostel is a central, hip and exiting place to stay in York! Conveniently located in the heart of the historic City of York, one of the most visited cities in Europe within ten minutes' walk of the train station. The Fort has worked with young designers from around the UK to create individually designed rooms which enhance your stay in one of the UK's favourite cities. Step outside The Fort into an area not only steeped in history, but surrounded by lively stylish cafés, bars and restaurants. 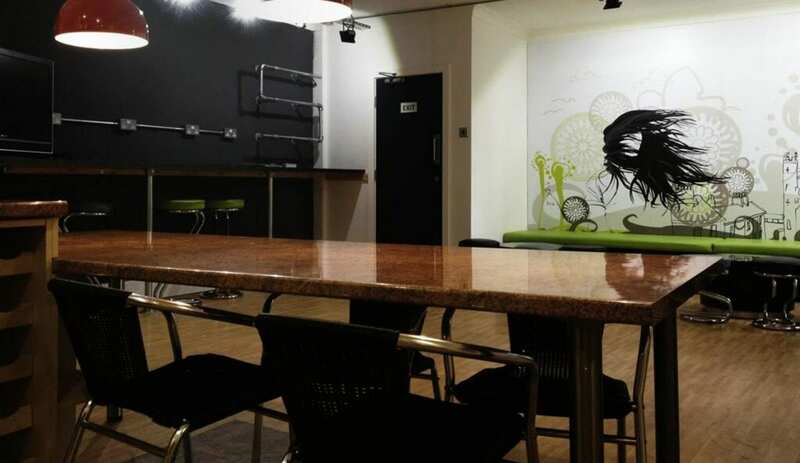 The hostel has comfortable, funky accommodation with flat screen TV's and WiFi. Complimentary hot drinks are available. Feeling hungry? Meals are available locally as The Fort is situated above Kennedy's Bar and Restaurant, a popular, independently owned venue. So, relax, order a drink and enjoy this vibrant, unique spot, smack bang in the heart of York. This accommodation is featured on our map of Yorkshire and Lancashire and here is its own website. 10% deposit to reserve your bed. Groups also 10% then to pay in full four weeks prior to stay. By foot from York station turn left onto Station Road go over the River Ouse into Museum Street. Take first right onto Coney Street, left onto Stonegate then right into Little Stonegate. Check out our wonderful reviews and recommendations on Facebook! 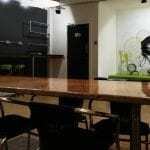 New in the Independent Hostel Guide The Fort Boutique Hostel in York with its fab decoration, provides a perfect base for enjoying the shopping, nightlife and museums that this historic city has to offer!